Factories, industrial buildings and even some apartments prefer to have commercial low slope roofing which may actually look flat but are designed with a slight pitch. There are many benefits that make people choose a commercial low slope roofing system. 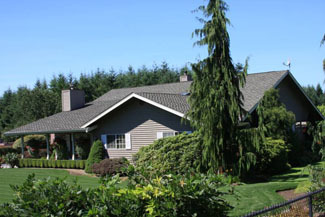 If you are looking for a trusted company that can install commercial low slope roofing on your Renton, WA, area property, call Johnson Exteriors, Inc. We are a full-service roofing and sheet metal company with expertise in installing roofing and sheet metal systems in residential, commercial, industrial and government buildings. Commercial single ply roofing is preferred by architects, engineers and building owners, as it is a great way to keep energy costs low and even add an extra floor under the roof. Call us to discuss your requirements and we will be happy to help. Our single ply roofing systems not only enhance the performance of the roof but also provide great flexibility, durability and strength. We offer the highest quality materials that provide superior resistance against leaks, water and other weather elements. Choose us as your commercial single ply roofing contractor to simplify your single ply roofing systems on your Renton business property. Our single ply roofing systems come in every size, shape and texture, making them highly versatile. You don't need to worry about any roofing challenges with our commercial single ply roofing materials. 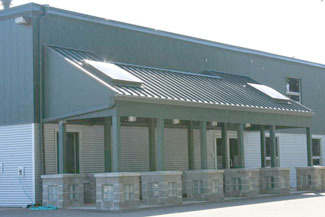 We have a solution for all your commercial low slope roofing needs. If you want to know about single ply roofing costs and other details, we are always here to answer your questions. 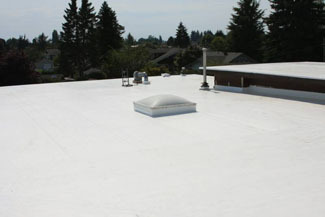 For commercial low slope roofing installation services in Renton, call Johnson Exteriors, Inc. at (360) 226-2521.